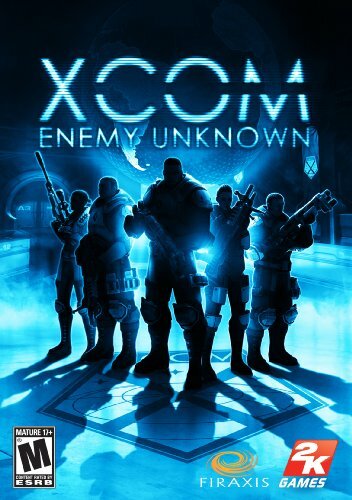 XCOM: Enemy Unknown is the long awaited reboot of the X-Com franchise that has been around since the early 90s. The franchise began its life as a tactical squad based strategy game and after some shifts in developers and publishers started to lose sight of what made itself so great. However, this reboot of the franchise takes the game back to its roots as a tactical strategy game which both suit the game and pleases fans. However, is this game as good as its predecessor? Read on to see what I think. In XCOM: Enemy Unknown, you take on the role of the Commander of the XCOM organisation. XCOM is an international threat response team designed to take on extraterrestrial threats as they appear across the globe. This means that across the course of the game, players will be fighting against alien threats around the globe. Interestingly the game appears to be really light on actual story. For instance, I’m not entirely sure if the game is randomly generating missions or if there is some kind of script determining when and where missions appear. Generally speaking, players choose the option to scan for threats and this speeds up time until some kind of event triggers or a threat is located. However, there do seem to be some kinds of compulsory missions that appear from time to time. For instance, it is your job to actually be rid of the alien threat and your science team will often request for you to collect specific aliens or obtains specific items to work towards ending the threat. There are also missions from the UN council that appear from time to time which might have you protecting a UN delegate or sending over supplies. So obviously, whilst the game is light on story content, it is actually more of your own story about how you went about taking on the alien threat. I actually prefer this kind of storytelling method in my games, so this is a huge plus for this title. As I’ve already stated, XCOM: Enemy Unknown is a tactical strategy game involving a squad of units. What’s cool about this is that it is also turn-based, which gives you time to think and plan out your moves, as opposed to having to adapt in real time. Generally speaking, any game that has you taking turns is often immersion defying in my experience. With XCOM, this was not the case. Not once did I not feel like what I was doing was un-immersive. It just felt incredibly right for this title, heck it even felt more right than the originals did (although, that might just be because I’m a product of a different era). 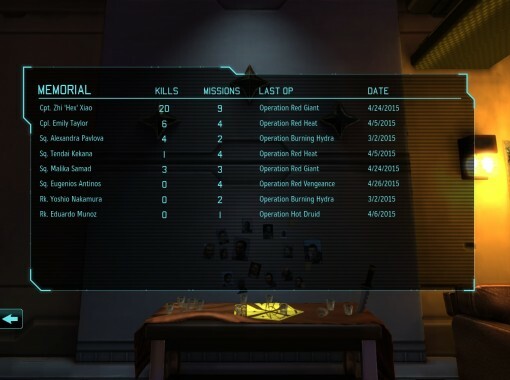 XCOM: Enemy Unknown really makes you feel like the leader of an organisation by giving you the responsibilities that a Commander would likely have (it’s probably less considering it’s a game, but the point is that it feels that way) if they were in this situation. As the Commander you have many obligations to take care of, not only to your own organisation, but also to your UN Benefactors. These take many forms but in regards to the UN, this comes in the form of Threat. The way threat works in XCOM: Enemy Unknown is that for every action you fail to take, a corresponding countries threat will increase. However, you wont have the resources to take on every challenge, nor does the game let you. So this not only becomes a game of squad management, but it also becomes one of political management. Another way the game has you feeling like a Commander is where you have to determine the layout of your base. 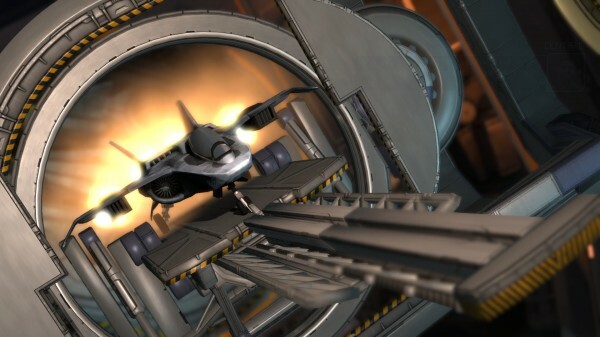 Over the course of the game, you’ll get access to resources to expand your base and gain valuable perks for doing so. For instance, building more science labs will allow you to research new technology at a quicker pace whilst building more Satellite Room thingies will allow you to deploy more satellites to keep UN Partners happy and safe. The final obvious method of making the player feel like they’re in control of an organisation is through the direct management of agents that can and will die forever. This is as simple as equipping them for battle and then ranging to something as complex as taking control of their movements in combat. What hits you with this is that your actions can lead directly to the death of your units. This is painful in that not only are you made to deal with the consequences of your own lack of intelligence but you will also lose that unit forever. Sure they can be replaced with time and effort spent in other units, but they’ll never be the same. Overall I’d have to say that from a gameplay perspective, XCOM: Enemy Unknown is the perfect example of a tactical-strategy game. Anyone picking this title up will become hooked. 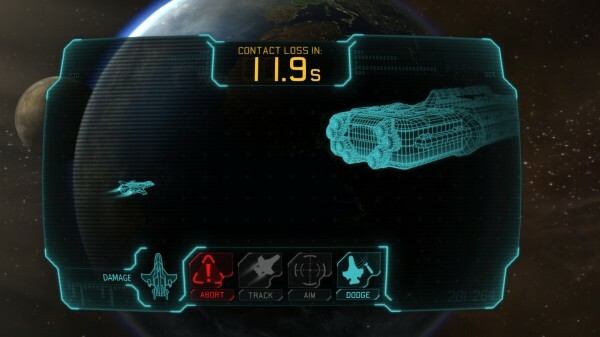 Aesthetically speaking, XCOM: Enemy Unknown is incredibly good. There’s just something about the game that carries this feel of excellence. It really feels like an alien invasion from a visual premise and this is shown not only through the alien opposition, but in your own units as well. Heck, the aesthetic is even carried across the environments and objects. The visual style isn’t one that I’d call realistic, some things like weapons are much larger than they need to be and the male units look way too bulky. But for XCOM: Enemy Unknown, it works. I think it’s important for the rebooted franchise to carry its own aesthetics rather than relying too much on its predecessors to carry it because it really needs to feel like its own thing. And it does, so the design choice has worked. 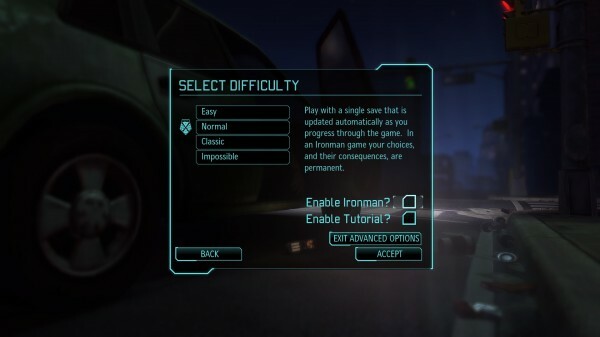 XCOM: Enemy Unknown really knows how to use its audio as a strength. Everything about this games audio properly reflects the games overall design. You can tell this quickly just from listening to the themes that play whilst going through your turn, or whilst in combat. Even the weapons carry a kind of brunt that would be missing from most other games. What I mean with that is that when you start to use Laser and later Plasma weaponry you can really hear the alien influence in their design. The beams sound heavy, the beams sound dangerous and most importantly, they sound different to the norm. I just can not sing more praise for the audio portions of XCOM. Even the dialogue carries along this aesthetically alien feel. For instance, the shadowy figure that you deal with throughout most of the game has this really voice that really sounds dark and mysterious. There’s just much going on with this games audio that you’d simply have to agree with me that it fits really quite well. 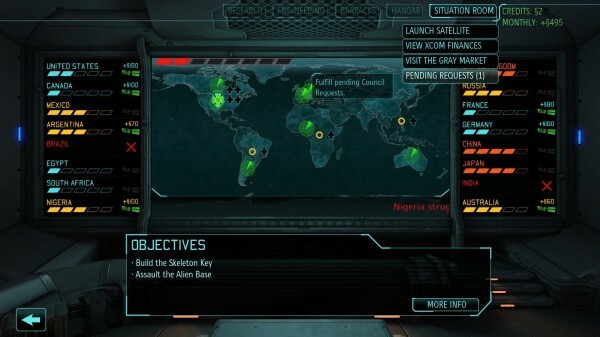 Overall XCOM: Enemy Unknown is THE PERFECT tactical-strategy turn-based squad game for the moment. It is clearly evident that the team behind this game knew not only what made an XCOM game great, but also what needed to be changed to make it better. They have somehow turned a predominantly FPS gamer into a massive fan and if they can do that to me, chances are the team behind this game might be the saviours that gaming has been in need of for the past 7 years.